Aren’t we all guilty sometimes, of judging others on their spending intention or lack of it? I worked for a Senior Vice President in the course of my corporate tenure. He had sizeable investments and owned apartments in various metros. He was passionate about work and the 300 people on his team. What surprised many was his meticulous retention of even the smallest business bills to claim, to the extent of 10 cent expenses incurred. The coffee time gossip hush-hushed on his ‘stinginess’ as he also was known to keep the business unit’s budget under strict control, causing much angst to managers who wanted bigger spends for their teams. I was accustomed to asking him questions. At lunch one day, he spoke about lifestyle inflation. He shared that if a family has one car that meets their needs and buys another and another, these are depreciating assets that yield zero return. A family might be able to make do with one car and save the remainder funds to invest in other modes that could add to their savings and bring about tangible returns on investment. Each time I am tempted to go for an extra something that I don’t necessarily need, I am reminded about his mantra on lifestyle inflation. 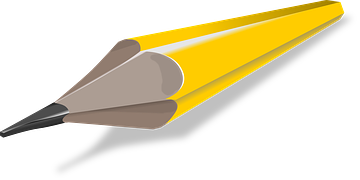 Some of us might recall ‘the little pencil story.’ Mahatma Gandhi’s 13 year old grandson had thrown away a 3-inch pencil, with an expectation of a new one. Instead of giving him a new one, Gandhi subjected the boy to a number questions like what happened to the pencil he had in the morning, how it became small, where had he thrown it and so on. His grandson couldn’t understand why he was making such a fuss over a little pencil! He was then given a flashlight and asked to go out and look for it. Shocked, he spent 2-3 hours searching for the pencil. When he finally found it, Gandhi said, now I want you to sit here and learn two very important lessons. Even in the making of a simple thing like a pencil, we use a lot of the world’s natural resources and when we throw them away we are throwing away the world’s natural resources and that is violence against nature. Lesson number two is that in an affluent country we can afford to buy all these things in bulk, hence we over-consume the resources of the world. And because we over-consume them, we are depriving people elsewhere of these resources and they have to live in poverty. And that is violence against humanity. 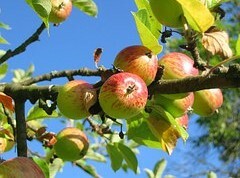 Coming back to Khurshid’s story wherein he had asked his grandfather why he would not give him a ripe fruit untouched by a bird, his grandfather told him affectionately, “The bird would only eat an apple that is sweet, so I pick the best for you.” Love can never be miserly. The more of it you have of it, the less it seems, so focus on increasing love and parallelly, a heightened mindfulness of your spending. A miser grows rich by seeming poor, an extravagant man grows poor by seeming rich. Words of Wisdom article in the Reader’s Digest India Edition March 2015, by Lauren Gelman, quoting Khurshid Guru’s story. 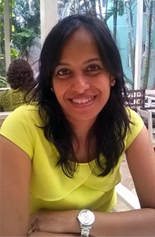 About the author: Meeta Chordia Singh is a Content Management Consultant, Curator and Writer. She is a former Human Capital Management professional, with diverse experience in Organizational Talent Management, People Development, Training, Communication and Business Entrepreneurship. Meeta recently moved out of Corporate and freelances on providing content services that directly cater to a business’s digital marketing efforts. Her USP lies in understanding the business and delivering simple, impactful communication with action oriented outcomes. While Meeta enjoys writing about anything that relates to people, life and wellness, her current clients are in the Human Capital Management, Technology and Travel & Tourism space. You could reach her via email or her profile on LinkedIn. 0 responses on "Penny Pincher!"